Swiss watchmaker Parmigiani Fleurier has unveiled its latest timepiece. Called the PF-Bugatti 390 Concept watch, the design draws its inspiration from the automaker’s latest hypercar – the Bugatti Chiron. This isn’t the first watch that Parmigiani Fleurier has worked on together with Bugatti. The Veyron, since its release 11 years ago, saw an earlier collaboration between the two brands too. 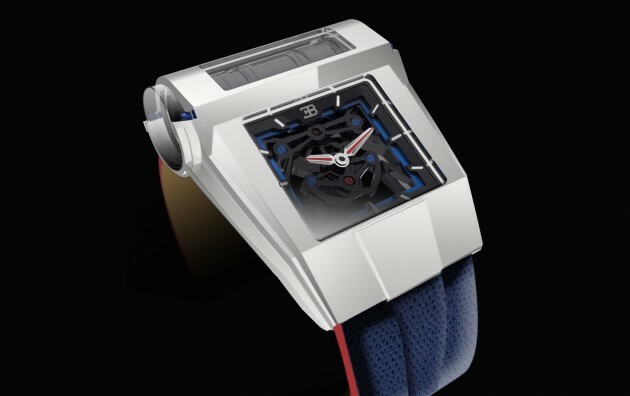 The PF-Bugatti 390 Concept watch is the latest association, “representative of a new generation of Bugatti timekeepers,” the watchmaker states. Conceived as a motor-bloc on the wrist, it has a unique tubular movement with a tourbillon regulator on the upper portion of the watch. The coaxial shape divides the functional parts of the movement into separate compartments, both of which are in “mutual interaction,” resembling the motor of a car. A watch can be more expensive than a car, thats a fact. Yes. And a luxury watch holds it value much better then a luxury car. It could even be considered as investment, but not car. If in MY, after asking the price, the next question is berapa RV.